Notejoy supports two factor authentication (2FA) via our Google login option. 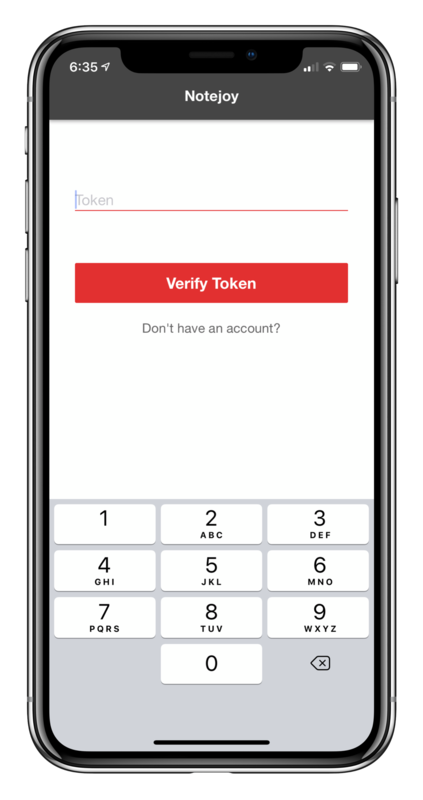 If you login to Notejoy via Google login, you can take advantage of Google's rich 2FA support with a variety of ways to obtain codes, including text message, phone call, Google Authenticator app, hardware key, and so much more. This works for both personal Gmail accounts as well as G Suite accounts. All you need to do is enable Google's 2-Step Verification and then when you login to Notejoy via Google login, you will be prompted to use your second factor.